Looking for quality iPhone and iPad apps to make your life easier? We have the best free iOS apps right here. But act fast. Most apps listed here are only free for a limited time. Grab them while they are still free today! 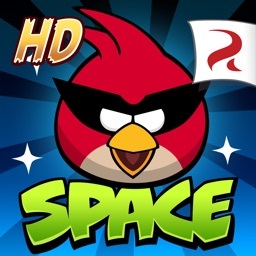 [ Free Again ] Angry Birds Space: Experience the Classic Physics Game in Space! If you have been following App Saga, you have probably already downloaded Angry Birds, Angry Birds Seasons, Angry Birds Rio, and Angry Birds Star Wars for free during their respective promotional periods. Today, your collection of Angry Birds for the iPhone and iPad is finally complete after Rovio decided to make Angry Birds Space free for a limited time! Looking up at the sky is a way for manner to escape the world they currently know and ponder the worlds beyond our own. If you’ve never heard of the Night Sky app before, you’re going to be happy to start with their fourth iteration, Night Sky 4. The photos we take with our iOS devices are some of our most cherished moments, but what if you want something to help highlight that moment with more than just a filter? How about gorgeous text written in equally classy typography? One of iOS 10’s more popular new features was the ability to add stickers to any Message thread. Now you can up your game, or even get it started, with Cinderly Superemoji, and here’s why we think it’s worth it. Everyone has played with a magic 8-ball before; those crafty little devices that would help give us a straightforward answer to some of our more pressing situations and questions. Now that entertaining medium has received a bit of an update in the form of Let ‘Em Decide. If you’re a creative who is adept in the world of 3D design, you’re going to want to sit up and take note of today’s app. It’s called iRhino 3D, and here’s why we recommend it. The world around us it full of gorgeous possibilities and endless wonders. One of those wonders is weather itself, and if you have a young one who is on the precipice of being ready to learn about that, MarcoPolo Weather is the perfect app. Lots of people have a reluctance to embrace scientific learning because they fear it is confusing and not a lot of fun. Today’s free app turns that on its head with Beaker, and here’s why. Our iOS devices are multimedia centers for our mobile lives. We want to consume music whenever we want, and now you can consume it how you want with a different kind of media player called Vox. Have you ever had a document or photo that had content on it you wish you could digitize without having to manually type up? Thankfully there are apps like TextGrabber out there, and here’s why it might be of use. Archive by category "Free iOS Apps"
© 2019 App Saga. All Rights Reserved.